Car salesmen are there to sell you a car, but they’re also there to get paid for that sale. When you head to a lot, they’ll tell you almost anything they can to get what they want from you, and if you’re not careful, you’ll be paying a lot more than you should. Most importantly, many salesmen will lie to you, costing you more than you want to spend and making you feel like there’s no other option. 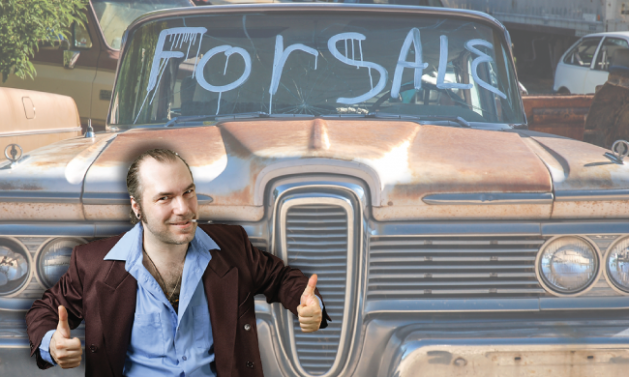 Check out these six lies car salesmen tell everyone! The salesman doesn’t know your financial situation, and they don’t get much more than a credit report from their financial manager, who does all the paperwork. They can’t guarantee that you wouldn’t get a lower interest from the bank you’ve been a customer of for 12 years. They also try to get you to pay a higher interest rate than what the bank approves you for, because it raises their own payout. There’s been a rise in odometer fraud, meaning someone goes in and turns back the numbers like a clock until it’s at an acceptable rate. In effect, you could be buying a car with 200,000 miles on it, while paying a higher price because you think it only has 30,000 miles. The less time you spend in the office, the more time they have trying to get someone else to buy a car. The salesman doesn’t write the contract, his manager does. He doesn’t know the calculations that went in it, and he doesn’t care if it’s off. Bring your calculator! Whatever little promises they make, they can’t keep. Ultimately it’s up to the financial and sales manager to bargain with you, and if they don’t think they want to spend that kind of money to give you the special package, or new tires, then they won’t bring it into the bargain. That happens even if the salesman promises. They’re trying to pressure you. Trust us: that car will be there tomorrow, and they’ll be just as desperate to sell it to you then. The deal they’re offering you might be as low as they want to go to get the profits they want, and if you think you’re running out of time, you’ll be more likely to take it. Probably the biggest lie a salesman can tell, since every car is negotiable. It’s a large piece of property taking up space, and a salesman doesn’t get paid unless its sold. The dealerships want to sell the car, and they’re always willing to negotiate. It might be harder in some places than others, but it can be done. A non-negotiating salesman is a lazy one, and one who doesn’t deserve the commission.